Addresses High-Wear Situations that Occur in High-Friction, High Torque Use. HPW Elastomer is designed to improve upon the properties of HPX rubber by providing increased power output and reliability of the power section in high wear situations that occur in high-friction, hightorque environments. Tear resistance, higher modulus, and elastomer reinforcement were targeted for areas of improvement. HPW yields higher reliability in severe environments of high sands, solids, and max parameter drilling. 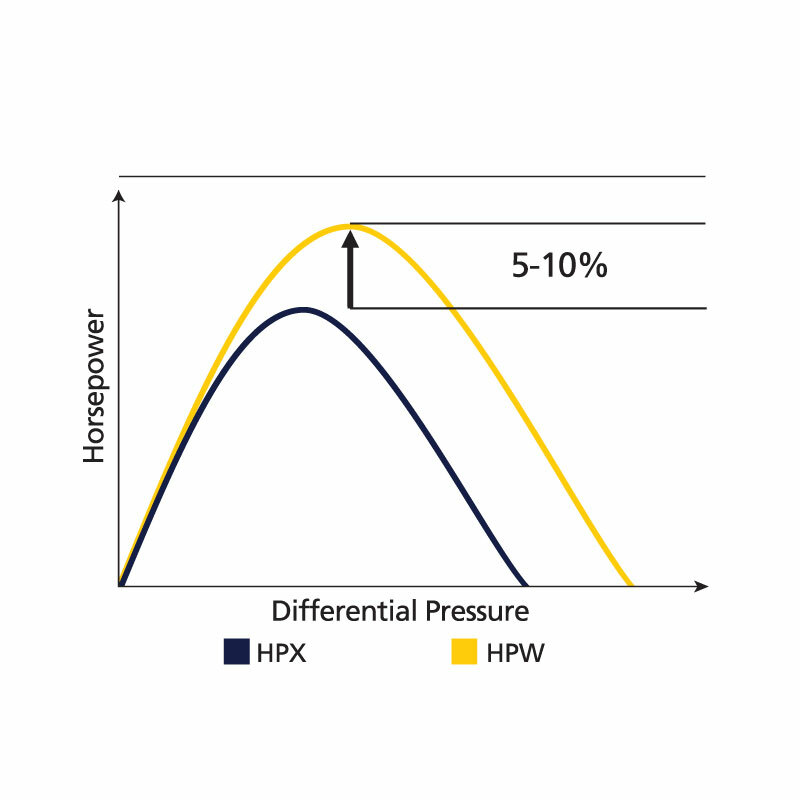 HPW is highly reinforced and has 25% higher stiffness than HPX. This results in 5 to 10 percent higher horse power output potential. 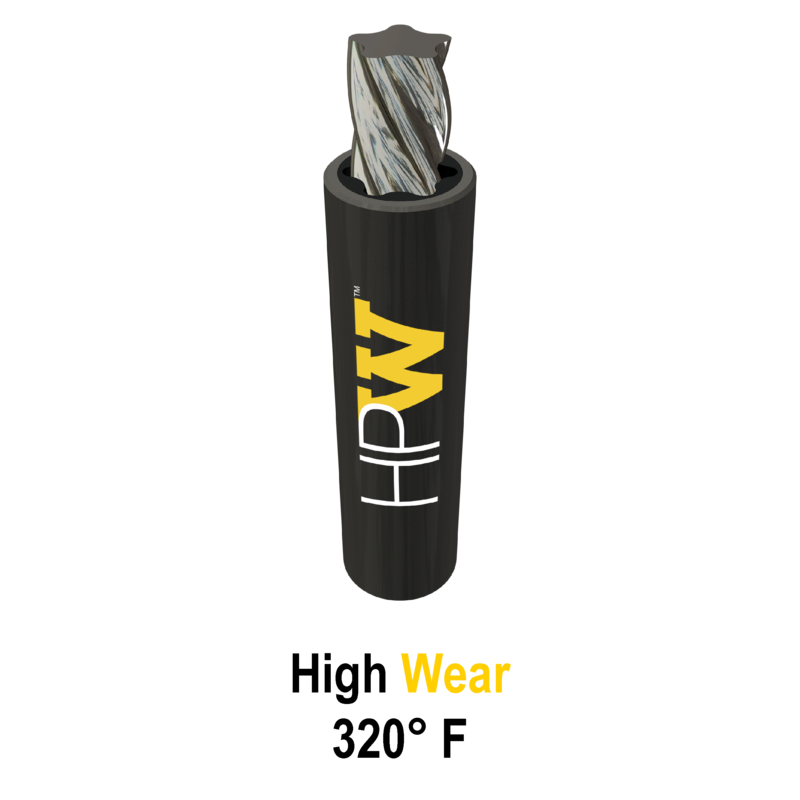 HPW is specially formulated to give high hardness and stiffness but also have better wear resistance than other hard rubber formulas. 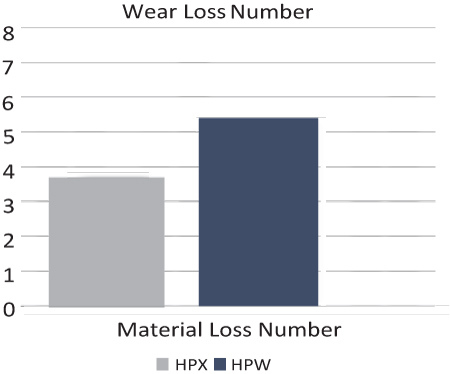 In laboratory testing, HPW has shown to have 30% better wear resistance than HPX.